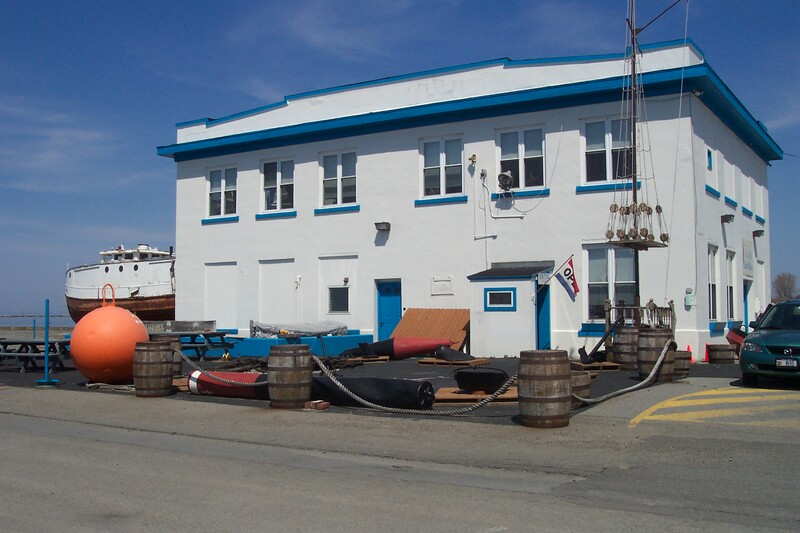 The H. Lee White Maritime Museum at Oswego was founded in 1982 under the auspices of the Port of Oswego Authority and led by Mrs. Rosemary Nesbitt - former SUNY Oswego theater professor and City of Oswego historian. Located on Oswego's West First Street Pier running adjacent to the Oswego River where it empties into Lake Ontario by way of Oswego's Harbor, the Museum's main facility was the administrative offices and freight-house of the grain elevator that formerly rested on the northern end of the structure. Built by James Steward & Company, Inc. in 1925 the buildings ground floor historically served as the machine shop, stock room, superintendent's office, heating plant and main switchboard room for the daily operations of the elevator. The second story contained welfare rooms for the workmen and two offices for administrative support. The structure is comprised of a steel frame, tile walls with a smooth stucco exterior finish, and a plaster finished interior - the floors are concrete in construction. 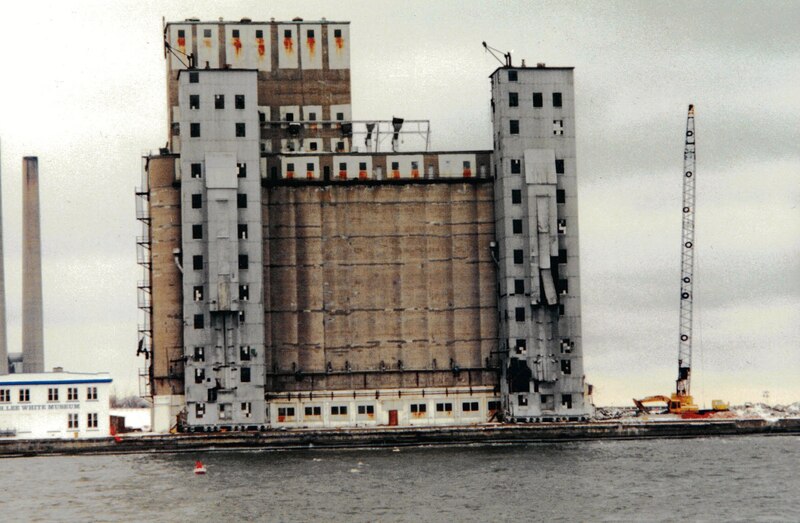 The Grain Elevator that rested on the 150' wide and 1000' long pier and stood on the northern end of the existing Museum (seen left) served as part of the northernmost terminal of the then termed New York State Barge Canal System. The historical significance of the structure and its position relative to the Canal System are discussed at the Museum and elsewhere within this site. The elevator was removed in 1999 after many years of discontinued service. Today, the Museum continues to advance and grow meeting many of the challenges not uncommonly associated with life on the pier. Under the direction of current Director Mercedes Niess, the Museum is working to merge with two other existing maritime orgainizations, thereby streamlining and enhancing the visitors experience to Oswego's Historic Maritime District. For all of the current events at the Maritime Museum, check out our news feed by clicking here, all of our upcomming events by clicking here, and visit us on Facebook and Twitter.